Well the first day of Spring was last Friday, and we got snow in New Jersey. And to be honest the weather this week hasn't really felt spring-like except for yesterday when it was a bit warmer and rainy all day. But I'm looking forward to sunshine and breezy, warm temperatures! I know spring is coming and it is going to feel amazing after this winter! And Easter is early this year - next weekend! 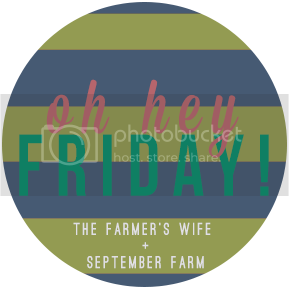 So lets talk about some Friday Favorites that are Easter and Spring related! These little babies are my very very very favorite candy in the whole wide world! Maybe I like them so much because I can only find them at Christmas and Easter! They are just the BEST! Now while it's perfectly acceptable and yummy to eat them straight from the bag, I like to bake with them too! 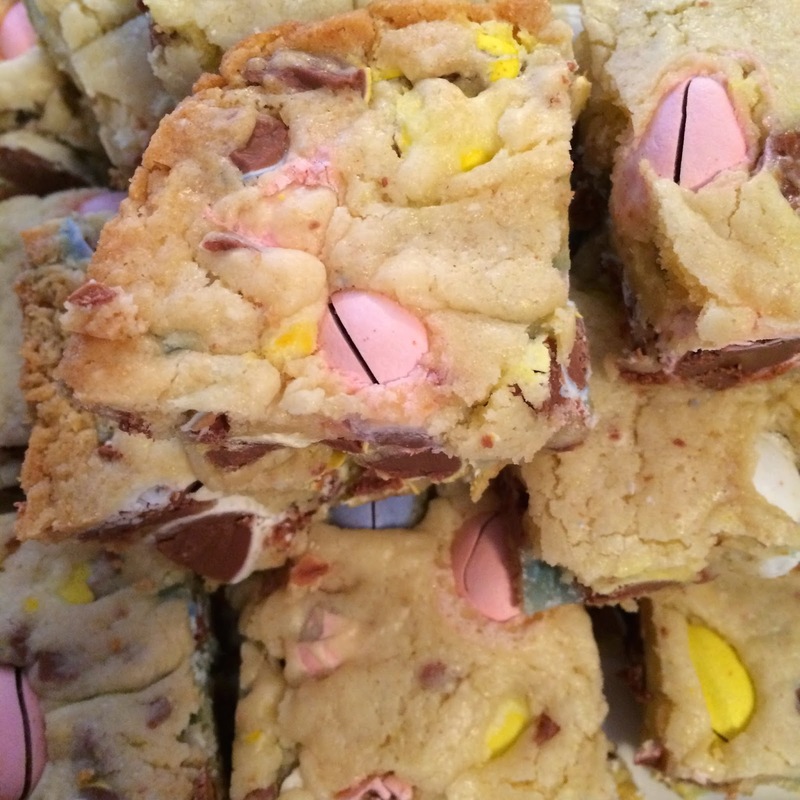 So here are two perfect recipes for your family to enjoy this Spring! Get those Cadbury Mini Eggs while you can! Simple shortbread cookies that are sweet and festive! If you're looking for a simple, 4 ingredient cake mix recipe...This Is It! I feel like we have been inside for months (seriously since Paisley was born we have hardly left the house). The weather was terrible and add a brand new baby to that mix and we have been inside watching more TV than I care to admit. Now that Spring is here, we will be getting out to the park for nice long walks! We bought a new Double BOB jog stroller for the big girls (and it's amazing). Paisley will ride in the Phil and Teds Jogger that we have had since Lacie was born! I just couldn't bring myself to get a triple stroller! 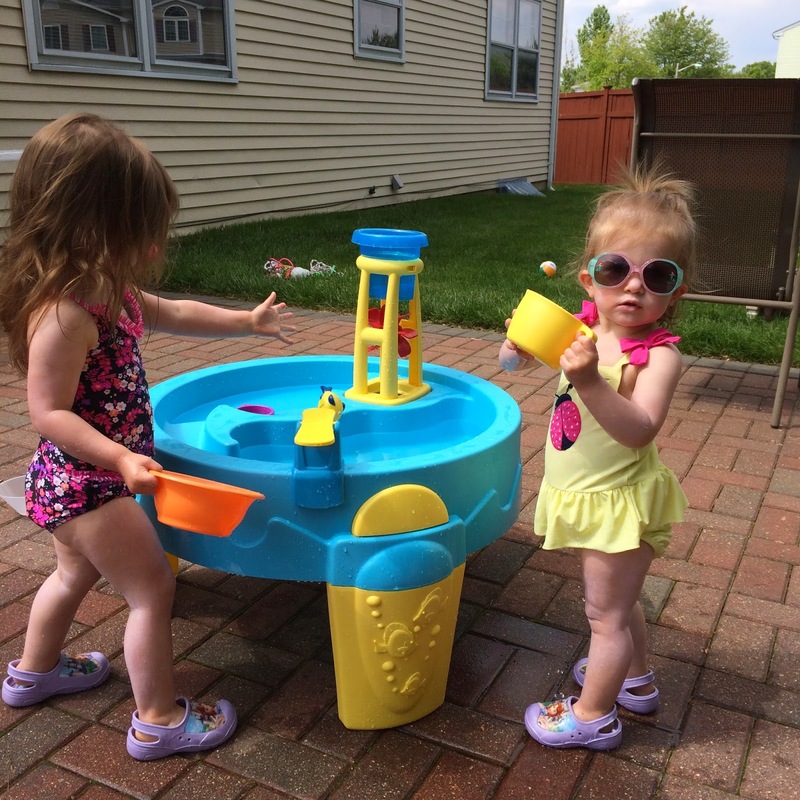 Last year the girls had Princess Sofia Crocs that they wore all spring and summer! For real like every.single.day! While I don't always love character clothing, these crocs were the best! Lacie and Blakely loved wearing them and I loved that they could put them on all by themselves! This year I was looking into getting them new pairs of Crocs and I found FROZEN ones! They will be perfect for Spring/Summer 2015 - but first I need to get their feet measured! For Lacie's First Easter, I wanted to get her an Easter Basket that would last throughout her childhood. So I splurged and got the large white basket with a personalized liner from Pottery Barn Kids. Then we got Blakely hers, and now Paisley has one for her first Easter! I can't say enough about how sweet these Easter baskets are. Plus they are HUGE! Perfect for fun gifts and not just candy! Pottery Barn Kids has all their baskets on sale now and you can get them in time for Easter if you order today! 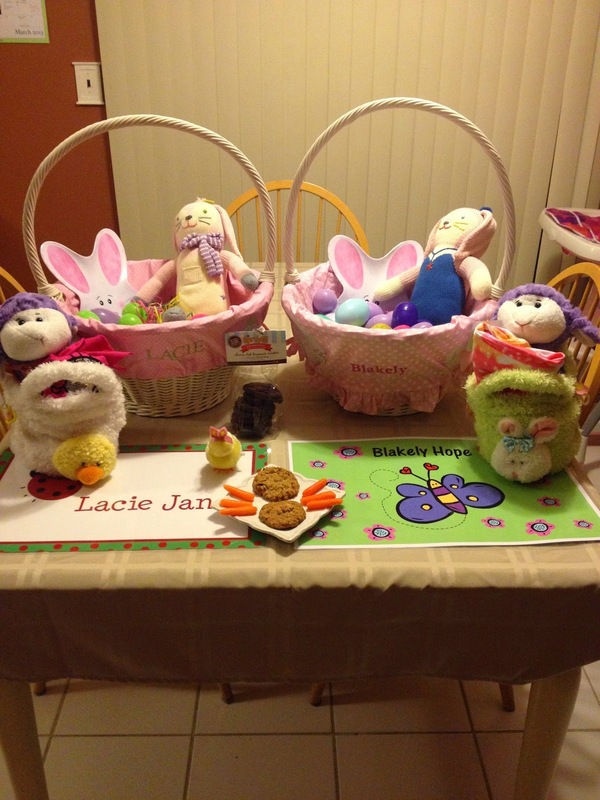 Here's a picture of their Easter Baskets from Easter 2013! I will get one of all three this year! Oooo, I need to find some Frozen crocs! 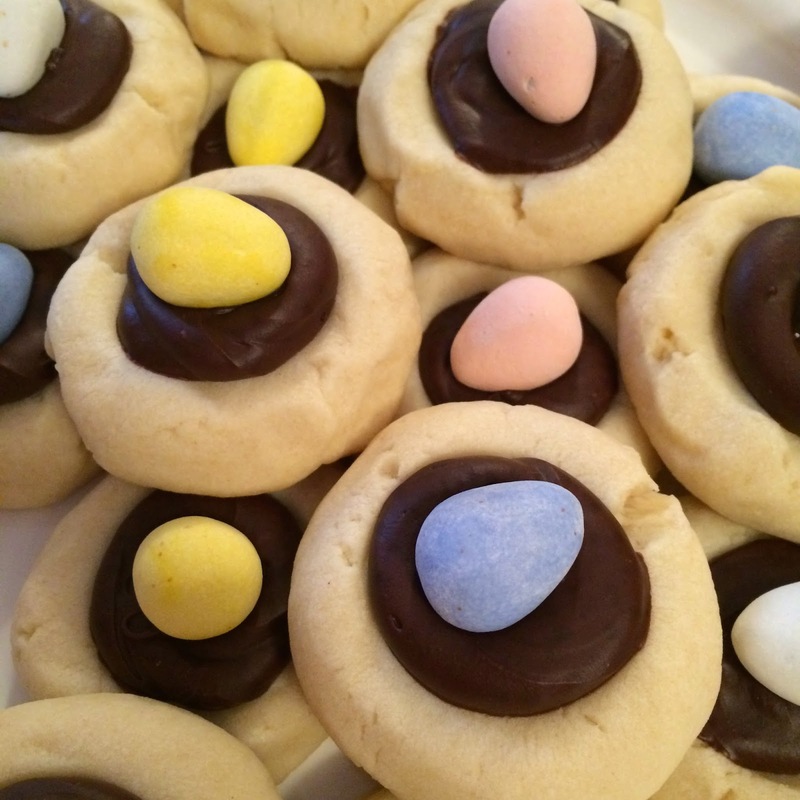 Those Easter Egg thumbprint cookies look delicious. I can't wait to get outside for more walks. Spring needs to stay! I've heard BOB strollers are awesome! I also am obsessed with Cadbury mini eggs! Seri - you can find them everywhere this time of year! CVC, Walgreens, Target, your local grocery store, etc. Be sure to look in the seasonal candy section and get the big bag!